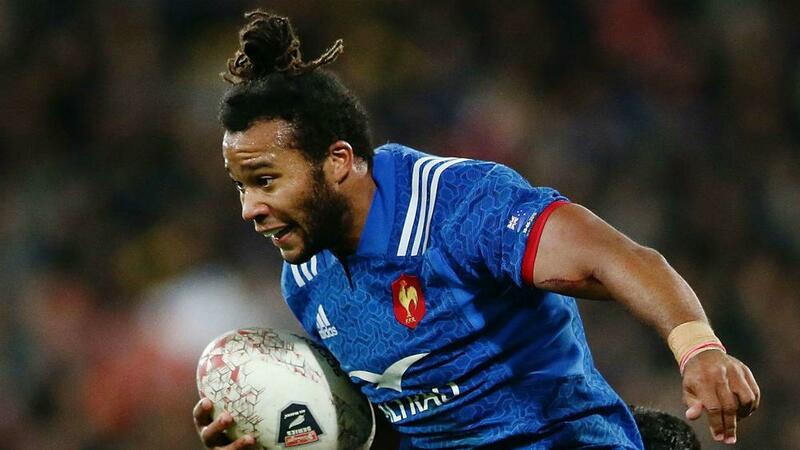 Teddy Thomas scored a try in each half as France ended a five-match losing streak by coming from behind to beat Argentina 28-13 in Lille. A last-gasp South Africa try left Les Bleus shell-shocked in Paris last weekend, but they responded with a first victory since March under the roof at Stade Pierre-Mauroy on Saturday. Jacques Brunel's side got off to a shocking start, Ramiro Moyano scoring inside two minutes and Maxime Medard failing a Head Injury Assessment after taking a blow before that opening try. A Thomas five-pointer and two Baptiste Serin penalties put France 11-10 up at the break, but Nicolas Sanchez's second penalty early in the second half edged the Pumas back in front. Les Bleus raised their game to stop the rot, though, influential recalled centre Gael Fickou conjuring up a moment of brilliance to lay on a second score for Thomas and Guilhem Guirado made sure with a third try. Serin finished with a 13-point haul as Argentina suffered a fourth straight defeat, France striking a psychological blow in a battle between two sides who will meet in their World Cup opener next year. Moyano got the Pumas off to a dream start, bolting in from the left flank with a sharp turn of foot to go under the posts after France had coughed up possession. To make matters worse for France, Medard was down receiving treatment as Moyano touched down and the full-back was unable to return. Sanchez restored the seven-point advantage after Serin was on target from the tee, but France had the crowd on their feet with a brilliantly worked opening try 25 minutes in. Yoann Huget put on the afterburners with an incisive run through the middle following a line-out before picking out Medard's replacement Benjamin Fall, who left the rapid Thomas with a simple finish in the right corner. Serin's second penalty edged Les Bleus in front before the break after a missed conversion, but Sanchez bisected the posts to give Argentina a 13-11 lead early in the second half. Fickou then showed his undoubted class to set up Thomas, bamboozling the Pumas in midfield with a series of sidesteps and whipping a perfect pass for the onrushing wing to cross unchallenged eight minutes into the second half. Serin added the extras and Moyano came close to a double of his own, but knocked on chasing a clever kick over the top. Another Serin penalty gave France further breathing space and the Test was all-but over when Tomas Lezana juggled the ball just in front of his own line following a line-out to gift Guirado a try.